At just under two years, Angel Wairimu’s smile reveals her first two milk teeth, the signature mark of babies who are only learning how to run around. She follows conversations in the humble homestead in Wamwangi, Gatundu South, in Kiambu County with as much attention as a baby her age can give. She’s fascinated with the gadgets brought in by visitors though with some reservations, and she clutches dearly to her mum, giving out the light cry for attention that babies give when they want to suckle. “Every time I see her saunter towards the gate on hearing my voice, I’m reminded yet again that there is God,” Angel’s father, John Kiruga, says. His faith-inspired statement is borne out of the journey he has walked with Angel. 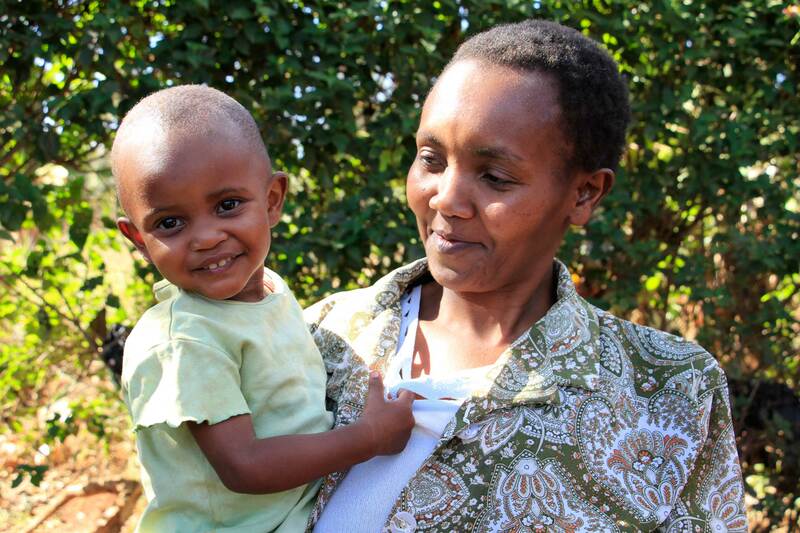 Angel with her mother Eunice Wakarura at their home in Gatundu. She was born normal but when she was about seven months old, visitors to their home drew the mother, Eunice Wakarura’s attention to something amiss; could it be that the little girl couldn’t actually see? Doctors at Gatundu Level IV Hospital confirmed their worst fears; Angel could not see due to what doctors said was congenital cataracts, a lens opacity at birth that causes visual impairment. They referred the baby to Thika Level V Hospital from where they were in turn referred to Kikuyu Mission Hospital to seek specialised treatment. “We went to Kikuyu Hospital alright but came away dejected,” said Mr Kiruga. “The treatment would cost almost Sh60,000. We neither had the money nor an idea where to start looking for it. It was a tall order for a peasant family living on a piece of land handed down by their parents and who had no stable source of income. Angel’s mother says that she had resigned to fate and started to think of how to raise a blind child. “There’s someone in our village who is blind and I was thinking that this is how my Angel would end up,” said Ms Wakarura. 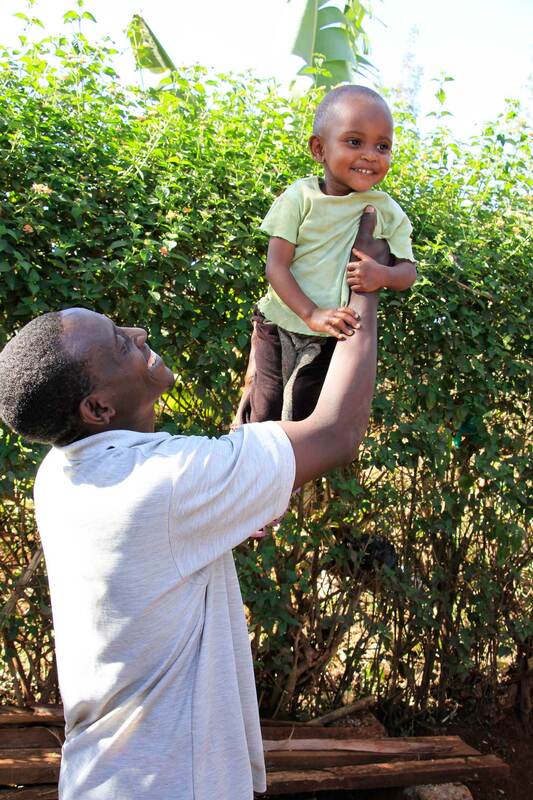 Angel with her father John Kiruga at their home in Gatundu. As fate would have it, Safaricom Foundation in partnership with the Kenya Diabetes Management and Information Centre held a medical camp on November 12, 2016 in Gatundu. Angel’s parents heard of the medical camp on radio and decided to give it a try. Angel is now a boundless bundle of energy. Now, she runs around the compound, reaching out for things and her sight is well restored. “All I can see is a miracle,” says her father.